On June 15th, 2017, Florida Governor Rick Scott signed House Bill 599: Public Works Projects into law. This legislation will officially become effective on July 1st, 2017. 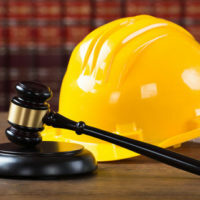 The law was heavily favored by construction companies, and received vocal support from Associated Builders and Contractors (ABC), one of the nation’s largest construction industry largest trade associations. Here, our experienced Miami construction law attorneys explain the new law and how it could affect your business. Governor Scott signed HB 599 in an effort to encourage openness and competition in Florida’s construction services marketplace. This bill, which is modeled after similar bills signed in other states, prohibits state & local subdivisions from imposing certain restrictive conditions on contractors, subcontractors, material suppliers and other construction firms. More specifically, this new bill mandates the following: When the State of Florida puts up the funds for at least 50 percent of a public construction project, local governments cannot impose any restrictive conditions on the project. The major construction industry lobbying groups argued that this bill was necessary to ensure open markets and to streamline the construction process, making it more competitive and benefiting Floridians as a whole. Opponents of the legislation countered that by undercutting local regulations, this bill would hurt workers and unjustly restrict the ability of local governments to operate. To understand the effect HB 599 will have on the Florida construction landscape, it is important to consider the current context of the political environment in the state. Essentially, this bill was passed to limit the power of county and city governments, stopping these entities from putting restrictive conditions on how state public works dollars are to be spent. Some local jurisdictions, most notably the city of Miami, have enacted many local rules that put legal requirements on construction companies. These local requirements exist above and beyond whatever state requirements are already present. Further, these local regulations can vary dramatically by city or county. Some Florida jurisdictions have passed wage and hour benefits rules that go far above the state regulations. Other jurisdictions put into place limited bidding processes to restrict construction projects to certain local companies. Now, with the passing of this legislation, local governments will be required to put up at least 51 percent non-state money on all of their public works projects to be legally able to institute any local restrictions on the project. When majority state money is involved, the state construction rules and regulations will control the project. We will follow any future legal developments or challenges related to this new law. At Pike & Lustig, LLP, our South Florida construction litigation attorneys are standing by, ready to help your company. To request a free review of your claim, please call us today at 561-291-8298 (West Palm Beach office) or 305-697-9799 (Miami office). We serve businesses throughout the region, including in Fort Lauderdale, Miramar, Pembroke Pines, Hollywood and Hialeah.